When Ray-Ban introduced the original wayfarer to the world in 1952 Hollywood took it to its heart, the style was everywhere and captured the attitude of the time perfectly. 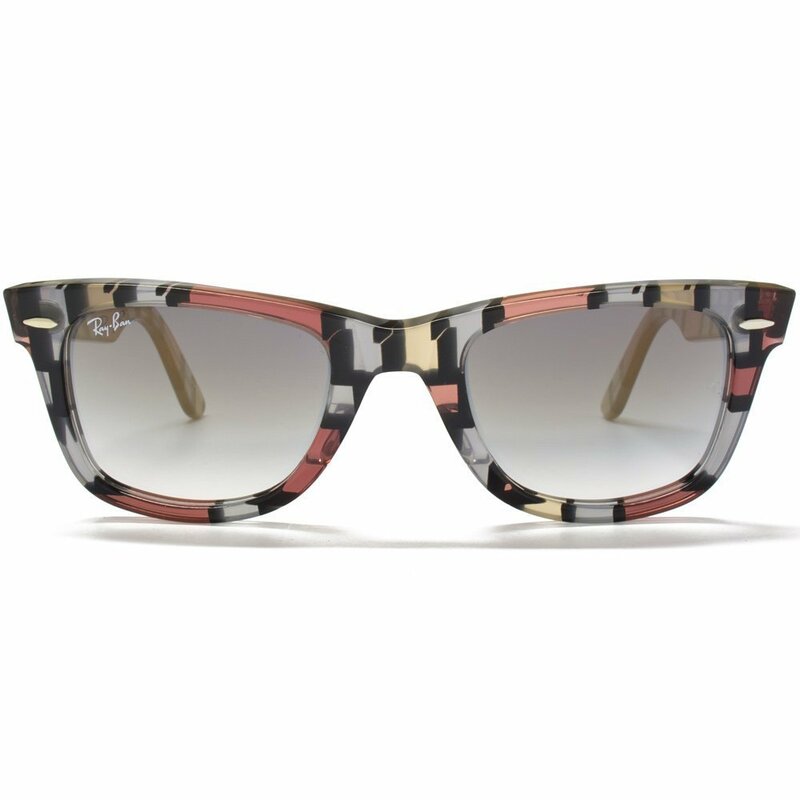 After a brief hiatus the style returned to the mainstream, was a huge success and is arguably the most popular and loved sunglasses style out there. Part of the Ray-Ban rare print range the Ray-Ban RB2140 108332 50 red and beige La Boca original wayfarer sunglasses come in a red, beige, grey and black abstract frame and a grey gradient lens. 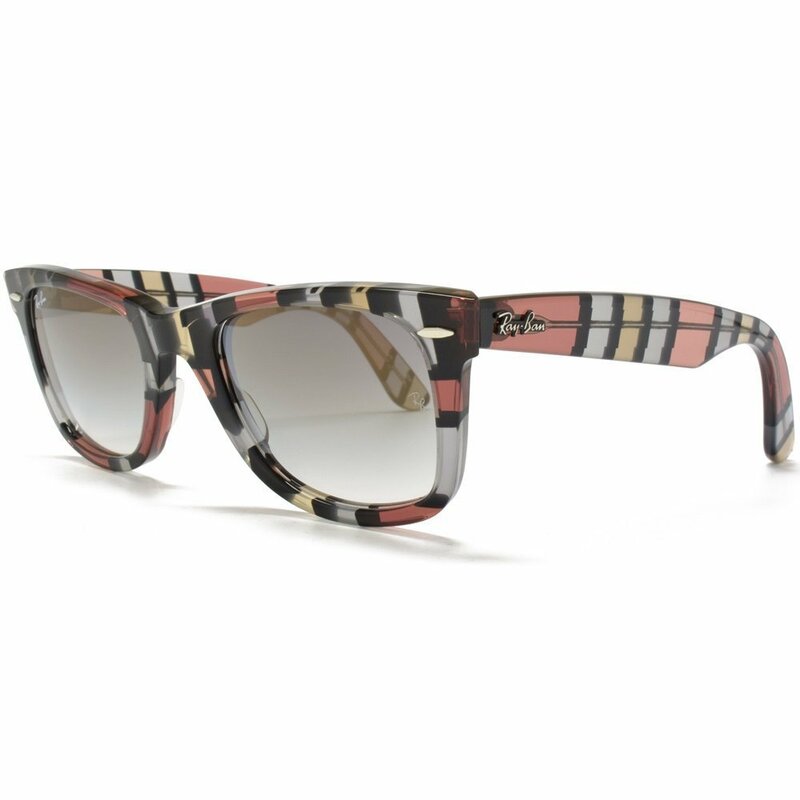 All of the original wayfarer sunglasses come with the trademark Ray-Ban logo printed on the top right hand corner of the lens and on the arms with the discreet RB logo etched onto the left hand lens. Ray-Ban needs no introduction founded in 1937 the brand was an instant success and has remained the market leader ever since. Endorsed by almost every celebrity on the planet at some point Ray-Ban sunglasses have now become a wardrobe essential. To celebrate their 75th anniversary Ray-Ban created the Never Hide campaign, inspired by true stories of true individuals who were not afraid to be different and stood up for what they believed in, over the course of their history.